That the co-founder of a pharmacy would conspire to make more money by selling an unsafe product that kills people was an outrageous conspiracy theory. Now it is true. Is it really a stretch to include drug companies who make vaccines among those needing independent oversight for safety? People who think “anti-vaxxers are nutjobs who endanger us all” are ignoring relevant facts. Does this conspiracy conviction not prove that faith in the system is sometimes misplaced? 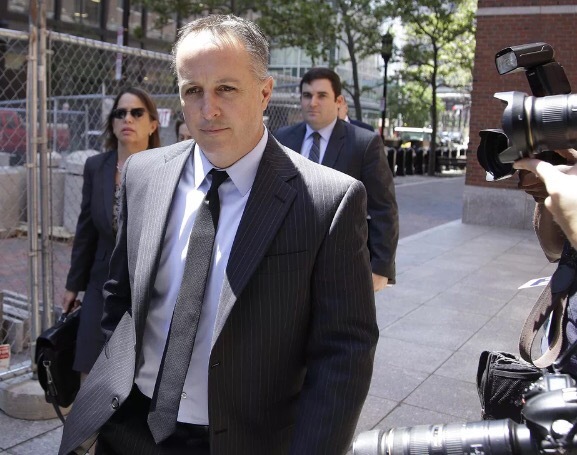 … Barry Cadden was acquitted of second-degree murder charges under federal racketeering law but convicted on conspiracy and fraud charges. Cadden was charged in connection with a 2012 fungal meningitis outbreak that was traced to contaminated injections of medical steroids made by the New England Compounding Center in Framingham. Prosecutors say Cadden ran the center in a dangerous way by skirting industry regulations on sterility in an effort to push production and make more money. Prosecutors will ask the judge to sentence him to 35 years in prison. Cadden’s lawyer says he should get 2½ to 3 years. The outbreak of fungal meningitis and other infections in 20 states was traced by the Centers for Disease Control and Prevention to contaminated injections of medical steroids, given mostly to people with back pain. NECC filed for bankruptcy after getting hit with hundreds of lawsuits. NECC and several related companies reached a $200 million settlement with victims and their families. The scandal prompted increased scrutiny on compounding pharmacies, which differ from ordinary drugstores in that they custom-mix medications and supply them directly to hospitals and doctors. In 2013, in reaction to the outbreak, Congress increased federal oversight of such pharmacies. Headache, stiff neck, fever, nausea and vomiting, photophobia, and altered mental status are potential symptoms of fungal meningitis. Fungal meningitis is treated with long courses of high dose antifungal medications, usually given through an IV line in the hospital. The length of treatment depends on the status of the immune system and the type of fungus that caused the infection. For people with immune systems that do not function well because of other conditions, like AIDS, diabetes, or cancer, treatment is often longer. The Centers for Disease Control and Prevention said Thursday as many as 14,000 people may have received the contaminated steroid injections. Health officials have been able to contact about 90% of those to warn them. The idea that a medication created to fix health problems could potentially harm people is frightening, especially when that medication was contaminated in something called a compounding center. Typically medications are mass-produced by drug manufacturing companies. So what’s a compounding center, and why are we getting our medications from it? Compounding pharmacists customize medications to fit an individual’s needs. Doctors prescribe these custom medications when the manufactured drug won’t work — for example, when a dosage is too large, or a patient has an allergy to a dye or ingredient in the original product. Pharmaceutical compounding is a common practice, said David Miller, executive vice president and CEO of the International Academy of Compounding Pharmacists. In fact, compounding is the way all medications were made up until about the 1950s, when mass manufacturing of medications began. The way our system works now, drug companies do their own safety studies and they are not required to publish studies that show a product is dangerous. If 1 of 10 studies shows some benefit while 9 show a danger, they can seek regulatory approval with the 1 cherry picked study. They also know they can continue to sell dangerous products up to the point that lawsuits make the company unprofitable. It can be years before the human guinea pigs taking a drug get their lawyers successfully suing a drug maker. … most consumers don’t realize that the FDA does not independently review drugs, but rather relies, in large part, on safety and efficacy information supplied by drug manufacturers themselves. The movie Vaxxed is controversial because the coverup of the MMR vaccine connection to autism has far-reaching implications for the very deep corruption in the Centers for Disease Control and Prevention (CDC) and the thousands of children who have suffered from a devastating disease that could have been avoided. Discrediting this information and keeping it from the public’s attention is paramount for the pharmaceutical companies that profit from vaccines. Evidence based medicine only works if you have good research and working checks and balances to avoid undue influence from those selling medicines. Days before this news broke, my doctor asked if I didn’t believe in vaccines when I refused my latest. I do believe that some vaccines work. It’s great in theory, but some vaccines statistically don’t help and I don’t trust the vetting process for the safety of everything in the shots. We have the foxes guarding the hen house.